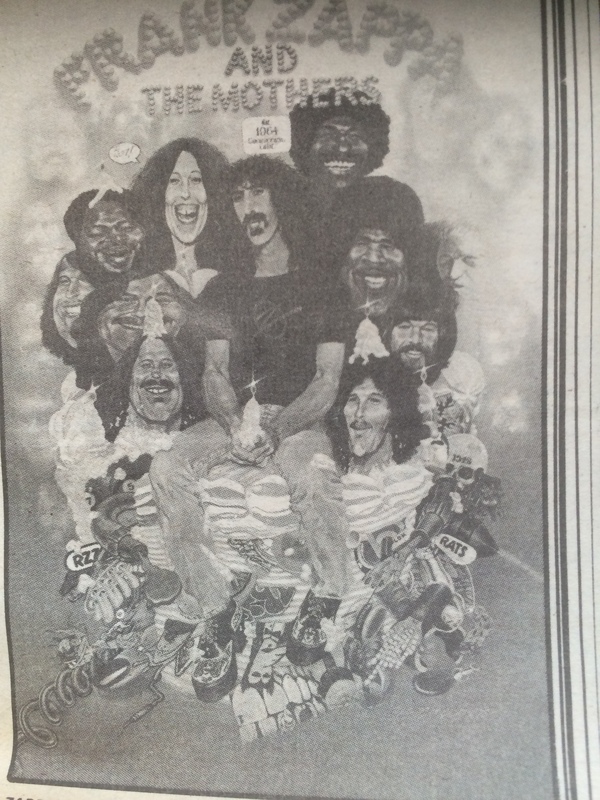 ARTICLE ABOUT Frank Zappa FROM NEW MUSICAL EXPRESS, May 25, 1974 | My Things - Music history for those who are able to read. What a legacy Zappa left us with, not only in music but also in words! He is one that deserves to be remembered – I only wish he were with us a little longer. Enjoy this interview from the 10-year anniversary of the Mothers of Invention. This is also the article that marks 5000 views on my blog. Thank you for reading! Frank Zappa celebrated the 10th anniversary of his Mothers of invention by stopping off in Chicago for a very special show. After all it was Mothers` Day, so why not bring out the plastic inflatable lady and really get it on? In the past Zappa has avoided being a jukebox of old hits, but this tour is something special, with anniversary cards in the hall lobby and a musical run through from the Mothers` history. I mumble something about “Freakout” being a definitive time-warp album, all about living in the 60s. Of course, the current band is far removed from the early Mothers – so much so that they`ve had to learn the numbers from the old records. Zappa commented: “Those songs are all so easy compared to what we`ve been doing recently. In rehearsal we learned two and three of them a day – which is sickening, because when we first put out `Freakout` it took weeks just to get one little song right. No-one knew how to play their instruments. The current 10-piece band is a far cry from the early 60s drum/bass/guitar syndrome. One wonders what a synthesiser will sound like in the middle of `It Can`t Happen Here?` And how relevant are the social problems of the 60s in these blase 70s. “Of course I`ve had to change the old arrangements to suit our present instrumentation. “Much of the appeal of the `Freakout` album was because it was something kids of that era could relate to. But I think audiences will still enjoy it because the songs are short. There`s a beat, a tune and a bass line. And the basic feel is easy to understand. “What I`m going to do,” says Zappa with restrained excitement, “is play twenty of those things in a row, and I think the audiences will love it. Last time we toured Europe we put `Brown Shoes Don`t Make It` into the set and the response to that one song was amazing. For some reason the Zappa audience always seem to expect him to be some freaked-out druggie who has to be wheeled on stage or pushed up against the amplifier. On the contrary, he`s a strictly disciplined musician, who runs the band with a firm hand. In concert, the outfit impress with their expertise. There`s so much natural energy on stage it`s refreshing. Says Zappa: “In my band anybody caught using drugs on the road gets dismissed immediately. What they do in their spare time is their business, but as long as they`ve working for me it`s got to be disciplined. On stage, Zappa`s new band resembles an all-star broadway musical, and singer Napoleon Murphy Brock has the charisma of Jagger as he stalks the stage straight out of Porgy and Bess. “Rock has always been a what-else-can-you-show-me thing except in its earliest days – when kids didn`t want to be shown anything different, just more of the same. “Now that same idea is transmitted today, because people obviously don`t want to see anything new. They`d hate it – because it wouldn`t be rock `n` roll. But there are certain characteristic elements that you can hang on to so that the music will sound rock`n`rollish. Like, if people hear a horn, they think it`s jazz. Undaunted by the critical reception of his `200 Motels` film of the celluloid media still fascinates Zappa – who prefers spending his money on media projects than fast cars and dope. He says: “The next feature film I do will be totally animated, but it`s a long way from completion. Lately I`ve been working on a movie for television; a combination of animation, straight scenes, and footage of the band on the road. Right now Zappa is just finishing up the last dates of his anniversary tour. He`s just finished reading the `Secret Life Of Plants` which he highly recommends, and he wants to take the band to Japan. An ad for what I feel is the strongest album Sparks ever made. 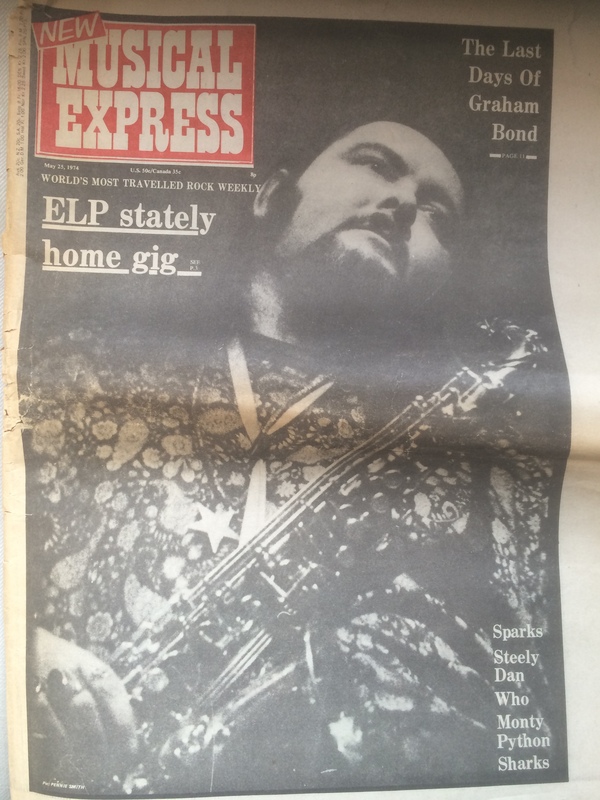 This number of the NME also contains articles/interviews with these people: Sparks, Pete Shertser, Graham Bond, Steely Dan, Beatles, Sharks, Monty Python, Chick Corea, Mike Garson, The Fatback Band, Scott Joplin.